Obituary for Sr. M. Francis Joseph Loughran, IHM | DellaVecchia, Reilly, Smith & Boyd Funeral Home, Inc. Formerly Margaret Kathleen Loughran, IHM on September 30, 2018. 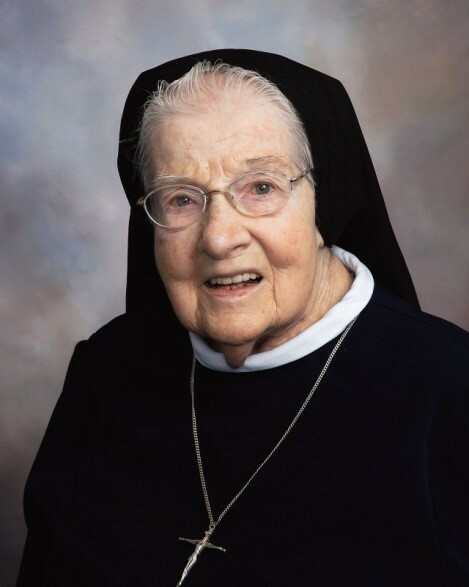 In addition to her congregation of IHM Sisters, she is survived by her sister, Lucy Fritz, sister-in-law Florence (Frank), many loving nieces, nephews, grandnieces and grandnephews. Predeceased by her parents Thomas and Josephine Loughran, siblings Alice Josephine Murphy, Dolores Tamton (Joseph), Anna McDermott (Martin), Mary Wilhere (Hugh), Thomas (Gladys), Bernard (Evelyn), Frank, and her brother-in-law Charles Fritz.